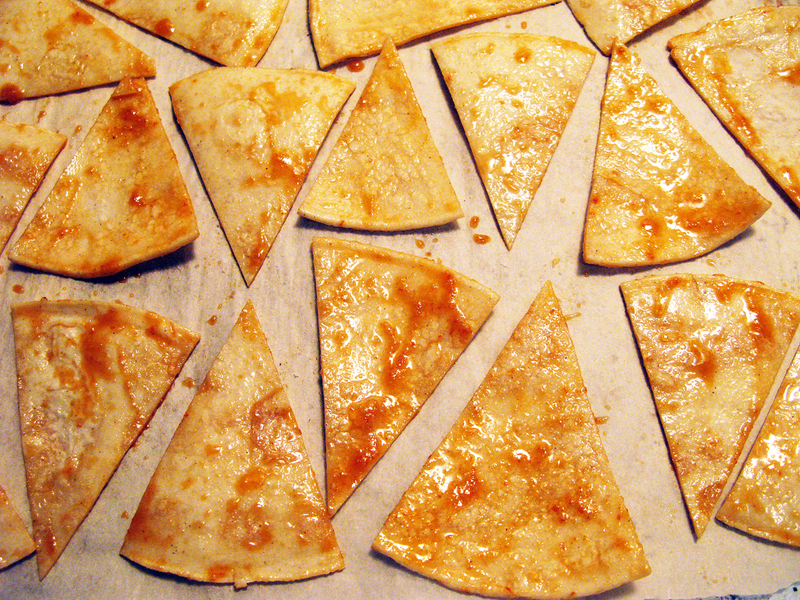 Sriracha Tortilla Chips | Raptor Toe - Food, Baking, Fun. Slice them into the size you want. This was 8ths, but you can just quarter them and make some "Restaurant Style" chips. 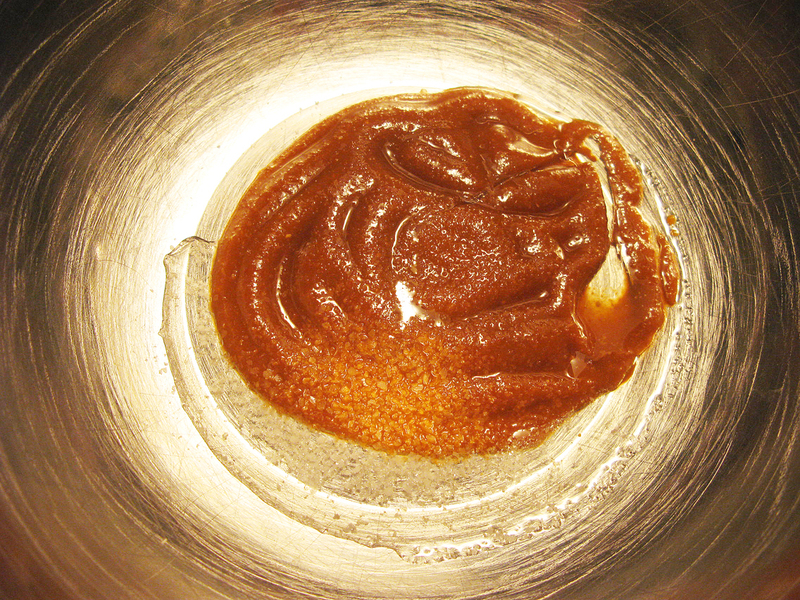 Sriracha, salt, pinch of sugar and a little bit of oil. I very much wanted to add cilantro to this. I think I have a cilantro problem. 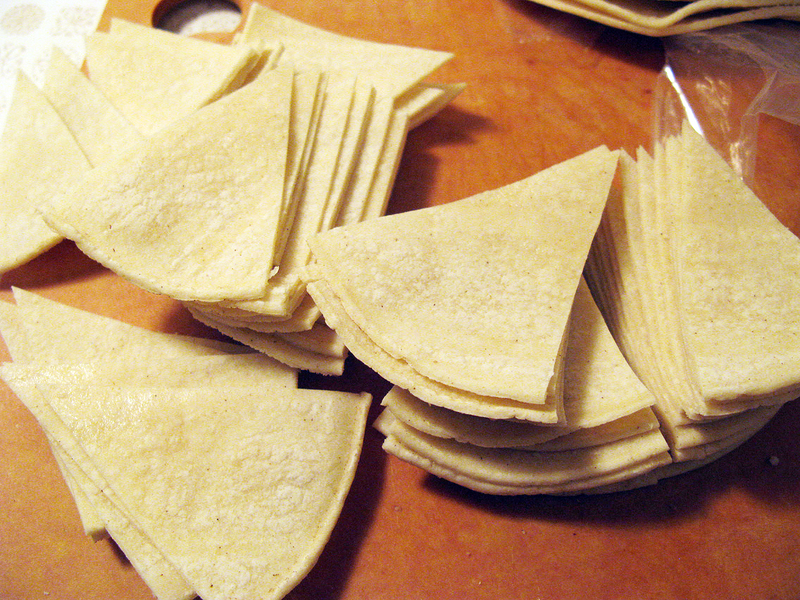 Add tortilla triangles and mix. Let them absorb all of the good!! 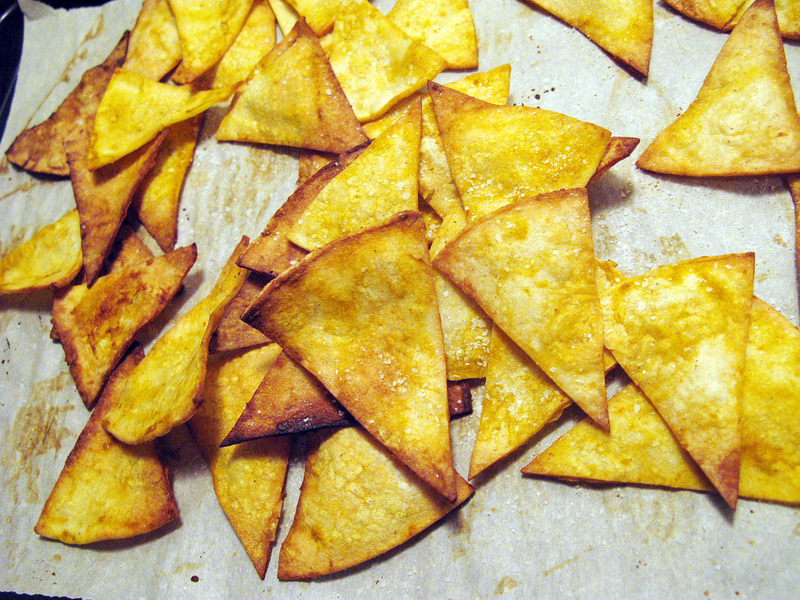 Lay them out on a parchment lined baking pan and pop into a 400 degree oven for 15-20 minutes, or until crisp! Yum!! I sprinkled these with a little bit more salt once out of the oven. Enjoy! This entry was posted on Friday, May 13th, 2011 at 5:03 am	and tagged with appetizers, appys, baked chips, baking, breakfast, brunch, chili sauce, chips, cooking, dinner, DIY, entrees, food, food blog, hot sauce, lunch, recipe, recipes, rooster sauce, snacks, spicy, spicy food, sriacha, sriracha, sriracha nachos, sriracha tortilla chips, tortilla chips and posted in Food, Spicy. You can follow any responses to this entry through the RSS 2.0 feed. Oh my goodness this is brilliant. I HAVE TO MAKE IT! Cool, I love this idea! My own homemade spicy chips, yum! Sounds like a great idea! I love sriracha and tortilla chips, so it has to be a winner. 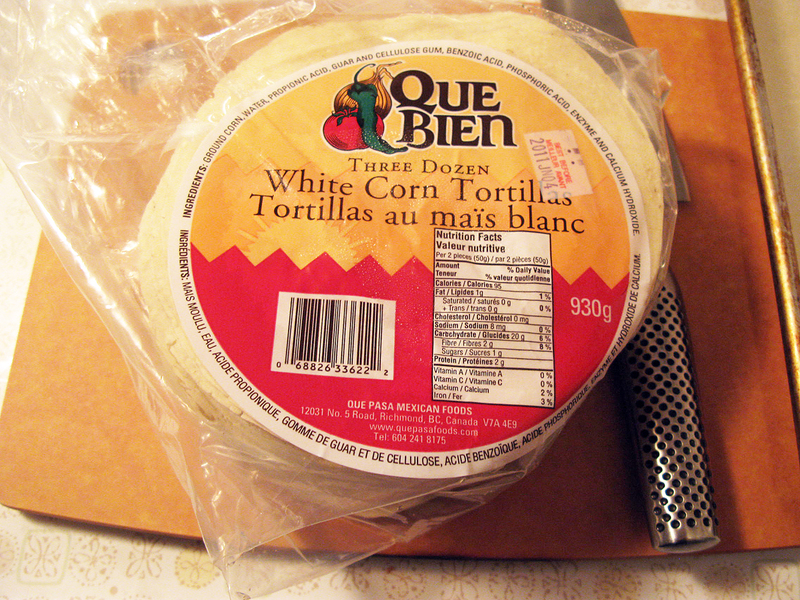 Wish I had a problem of too many corn tortillas here in France – it’s virtually impossible to find good ones! What a great idea! They sound delicious! 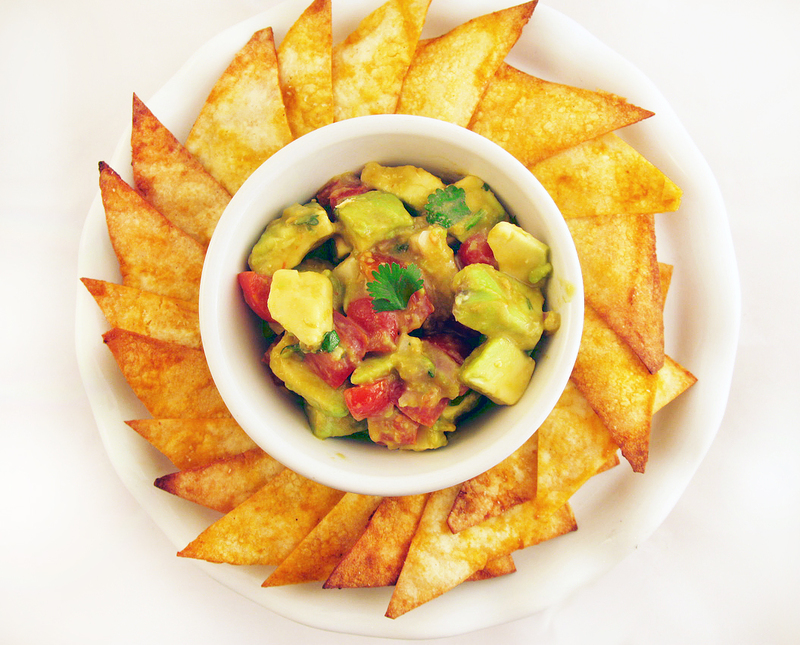 Perfect for with some guacamole! That is such a brilliant idea! WOW! Yum! I love Sriracha! So many of my friends would love this. Thanks Leanna- saving this to make soon! Oh Em Gee I must must MUST make these! These look fantastic! 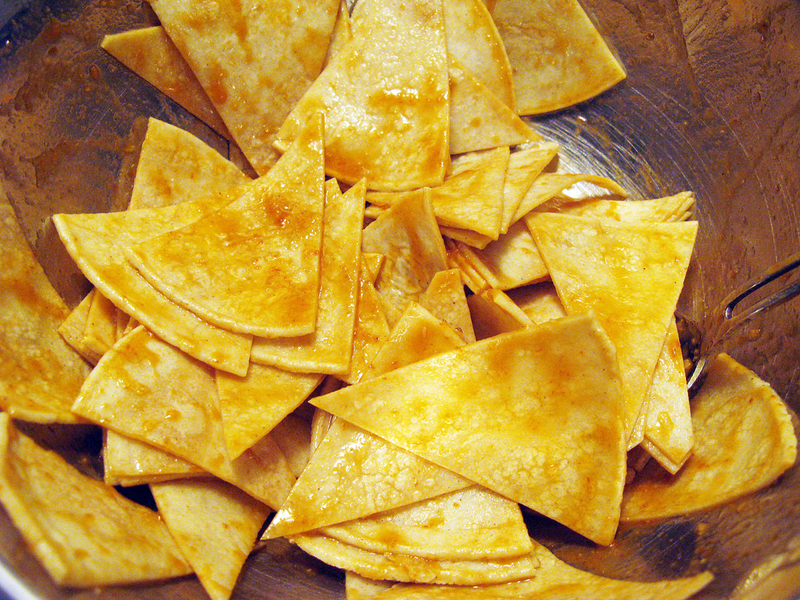 My husband loves tortilla chips and he loves siracha, I am going to have to make these for him soon! Thanks for sharing!